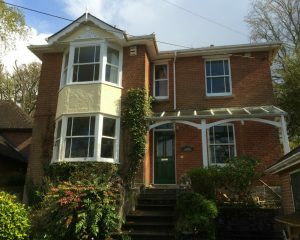 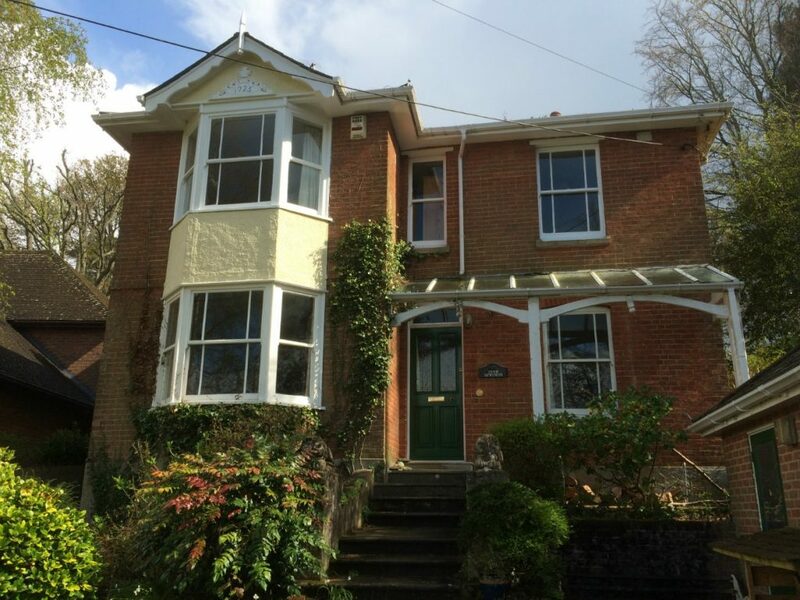 HRG Services were contracted to carry out various refurbishment tasks at this detached property in Colehill, Wimborne. 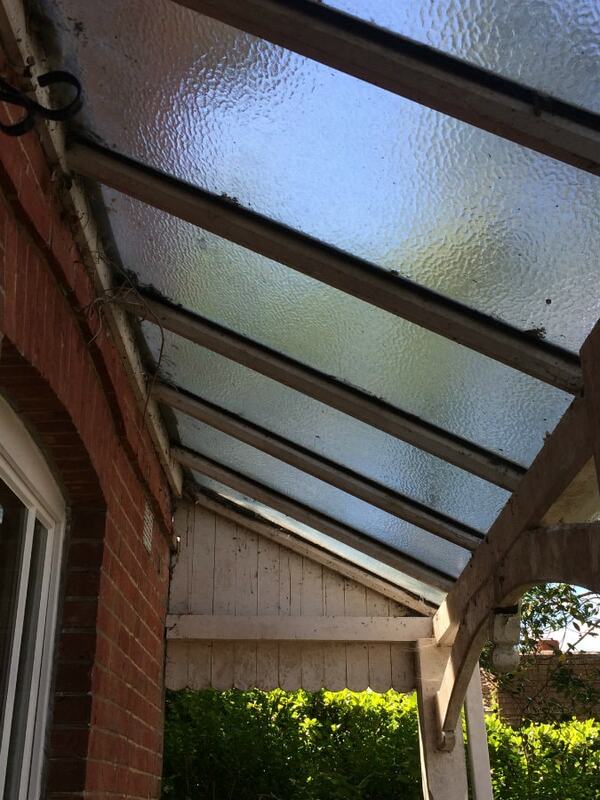 Due to the size of the project work was carried out in two phases. 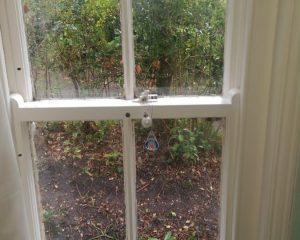 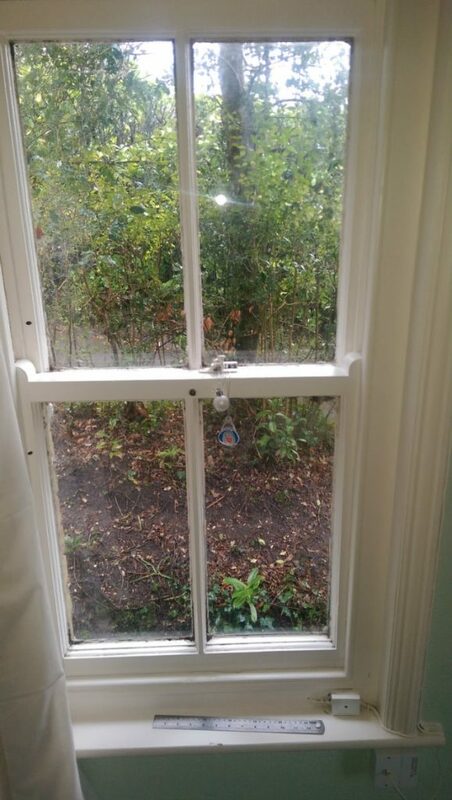 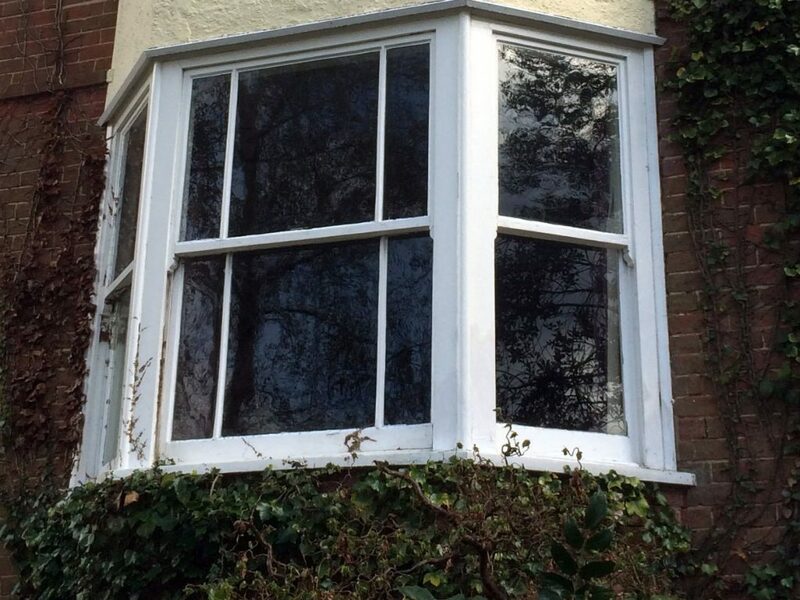 The work included the manufacture of new sash windows including slimline double glazing, restoration work to frames, draught proofing and full painting. 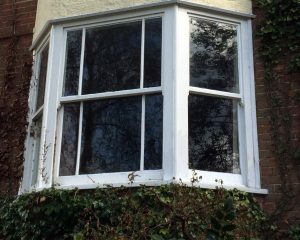 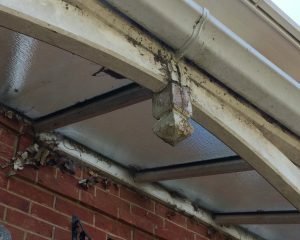 In addition to the windows, we also carried out restoration work to the front porch, which included the removal of flaky paint, removal of rotten timber and treatment with our resin repair care system before priming and undercoating before applying a final topcoat in a weather resistant paint. 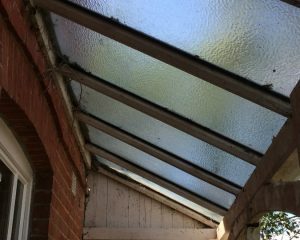 All work was carried out to the agreed timescale and to budget. 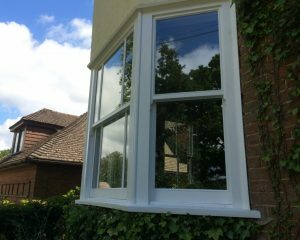 As the client wished for all windows to be replaced with new sashes featuring slimline double glazing, we suggested that the work be carried out in two phases so to minimalize any disruption to the client and so the client could spread the cost out. 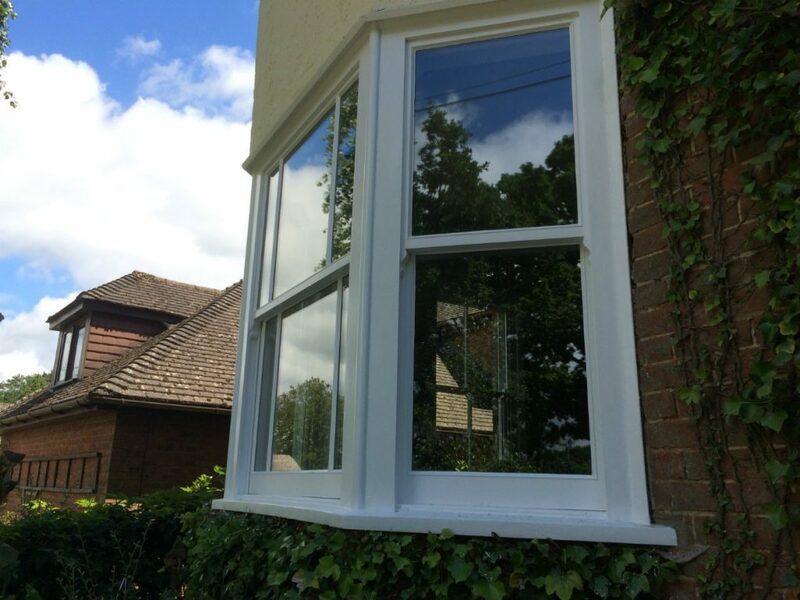 We manufactured the sashes and installed the double glazing offsite, once ready we then restored and and painted the frames before installing the new windows and then added our draught proofing system.